Abstract: Mapping literary spaces is an interdisciplinary challenge for both literary theory and cartographic realisation. The inherent properties of textual space compared to real-world geospace are introduced and discussed in relation to build a data model for the on-going project, ‘Literary Atlas of Europe’. 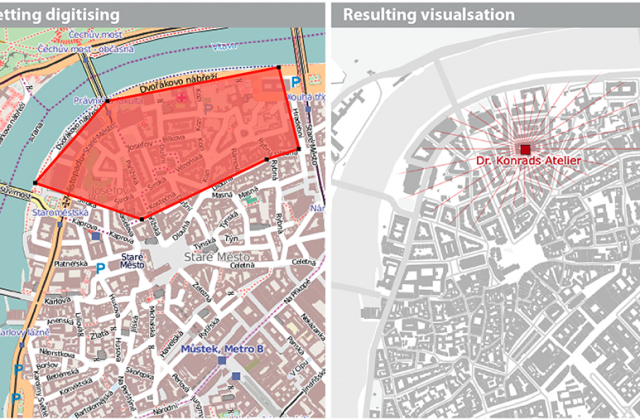 Spatial descriptions in fiction are often vague, transformed or hardly locatable within the real-world geospace which serves as basis for the analysis and visualisation. To reflect the fictional world, additional attributes and composed geometries are required. To solve the problem, an attributed spatial data model was developed to meet the requirements for a comparative, flexible study of literary spaces with numerous thematical questions. Using this model, spatial data of fictional texts were classified into settings, zones of actions, projected spaces, routes and marker. To emphasise the complexity of the model, the internal structure and diversity are illustrated with the examples of the spatial objects setting and route.